At Clonakilty Brewing Company, it’s all about the beer! We are passionate about making beer with no compromise, brewing small batches with big personality. Using locally sourced grains, the best hops and water from our own well, our beers are handcrafted with care in our Brewhouse in Clonakilty. 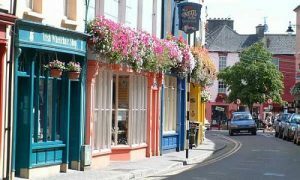 Clonakilty is at the centre of such a positive mix of beautiful scenery, amazing food, interesting characters, quirky local stories and strong town spirit. We consider ourselves hugely lucky to be able to make our beer here and become part of the tapestry of this place. It also pushes us to brew beer that stands with the best and make the town proud of what we do.